Currently, researchers are shifting their research efforts towards the tropics, where several climatologists claim to have found the sink. In short, scientists have found that tropical forests are removing higher quantities of carbon dioxide from the atmosphere than previously understood. 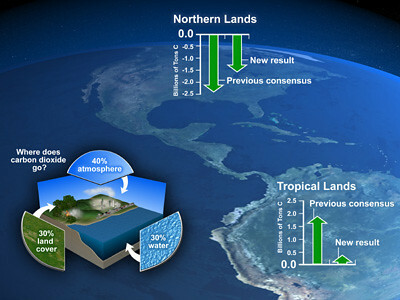 And, despite rapid deforestation, researchers have “showed that tropical forests are the net source of a mere 100 million tonnes of carbon annually, contrary to previous estimates of 1.8 billion tonnes.” This suggests that carbon sequestration in the tropics is substantial enough to counterbalance the effects of deforestation and heightens the importance sustainably managing tropical forests and mitigate the burning of Amazonia.